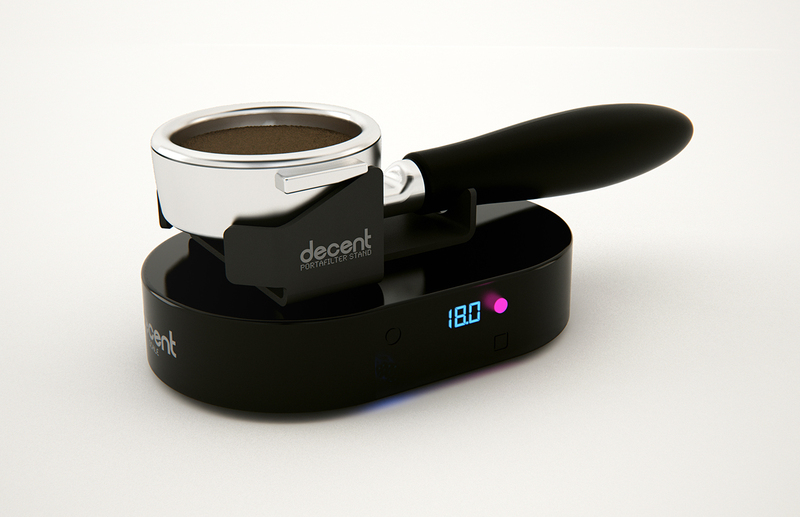 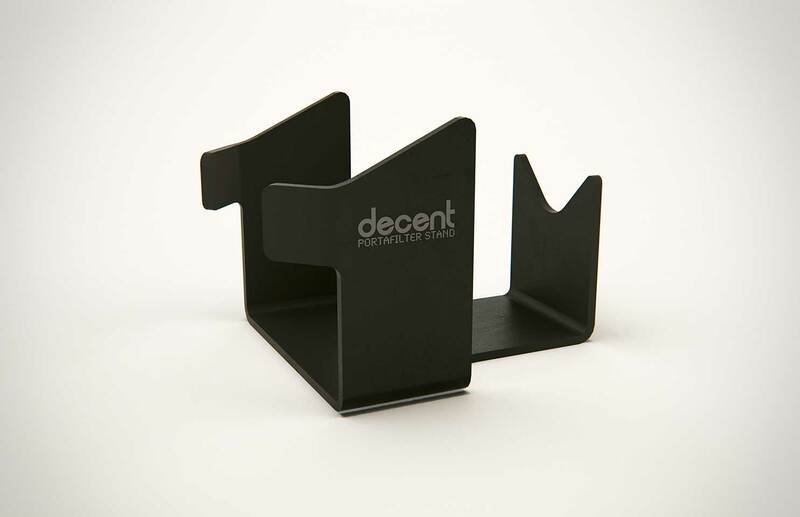 Holds your portafilter while you weigh the coffee dose. 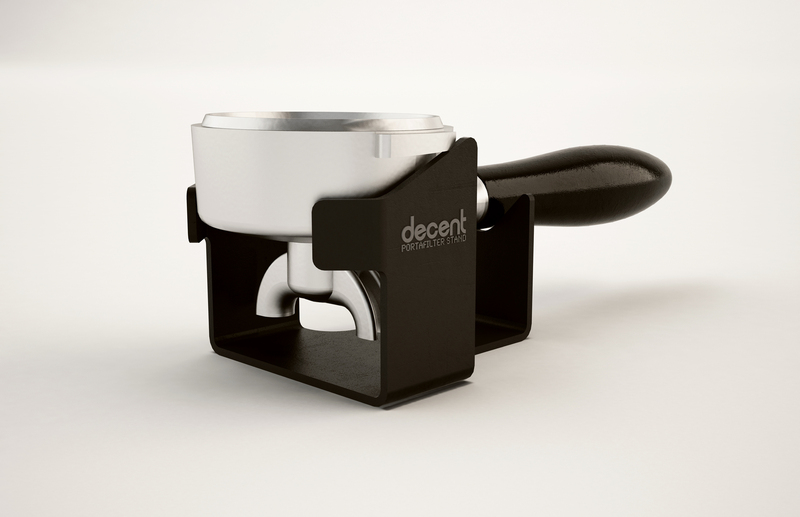 Slightly imperfect portafilter stands are also available on sale. 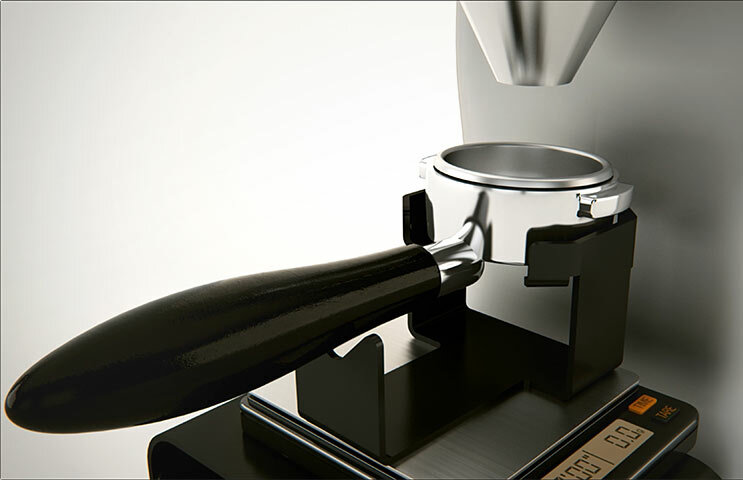 Why buy our portafilter stand? 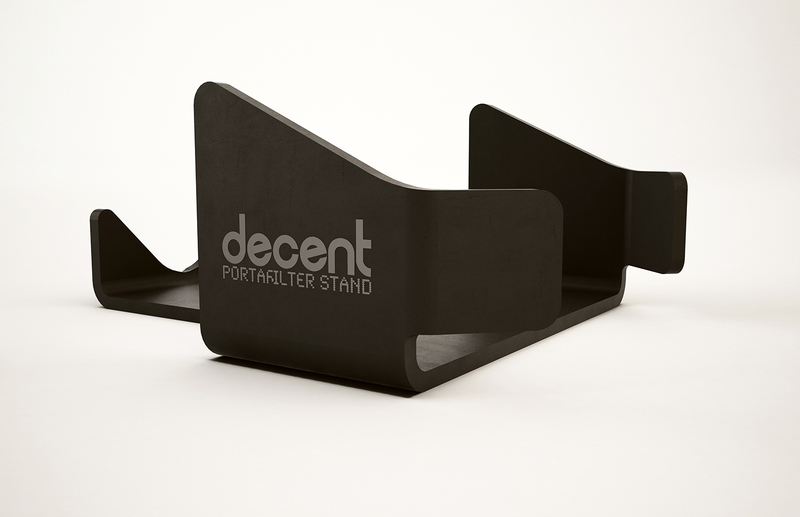 Over 18 design iterations were needed to settle on this straightforward shape which works reliably and without effort. 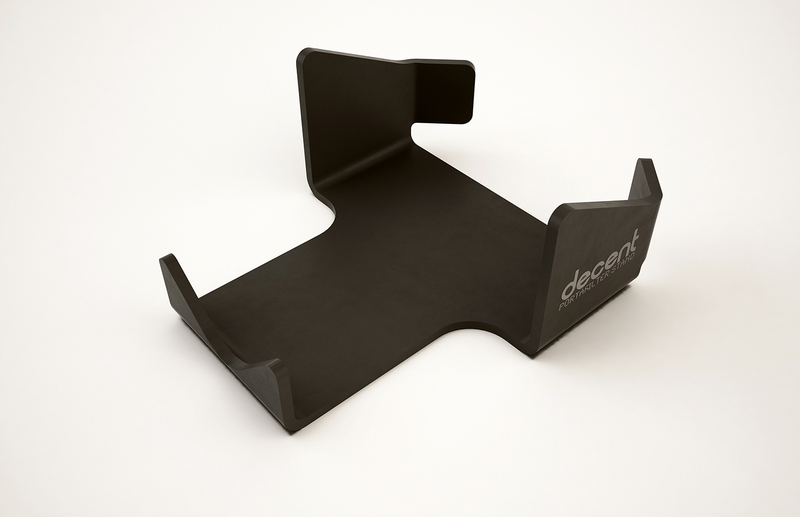 Two pieces of 3M double-sided foam tape are included. 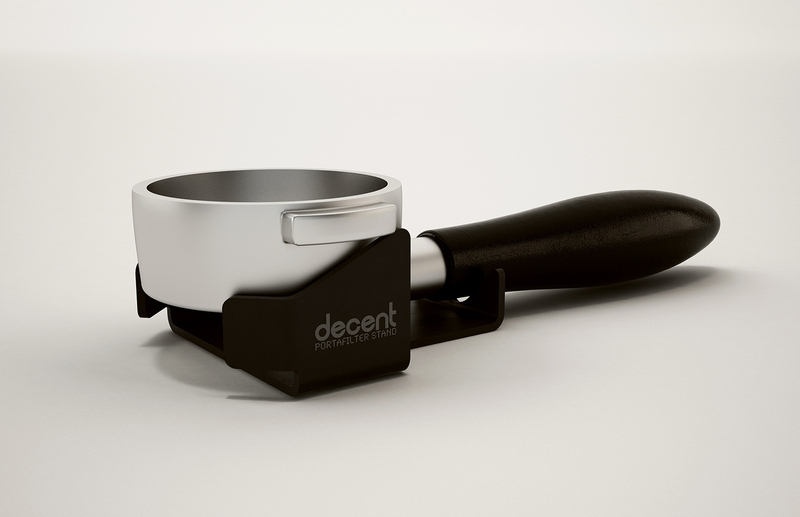 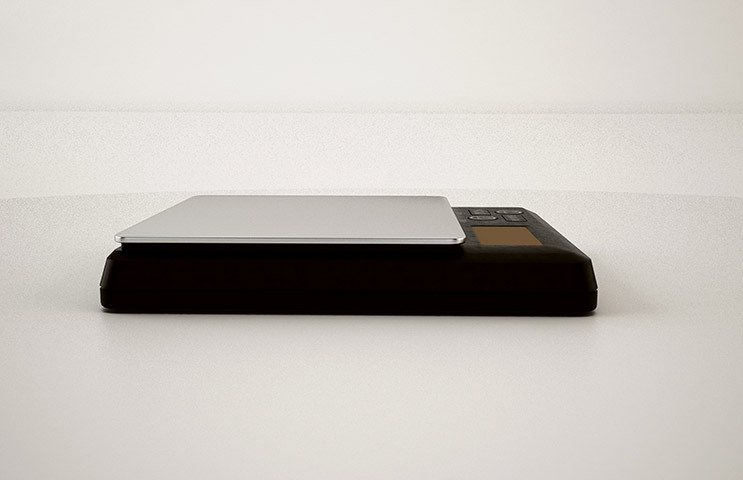 Made from strong yet light aluminum, so as to not compromise your scale's accuracy. 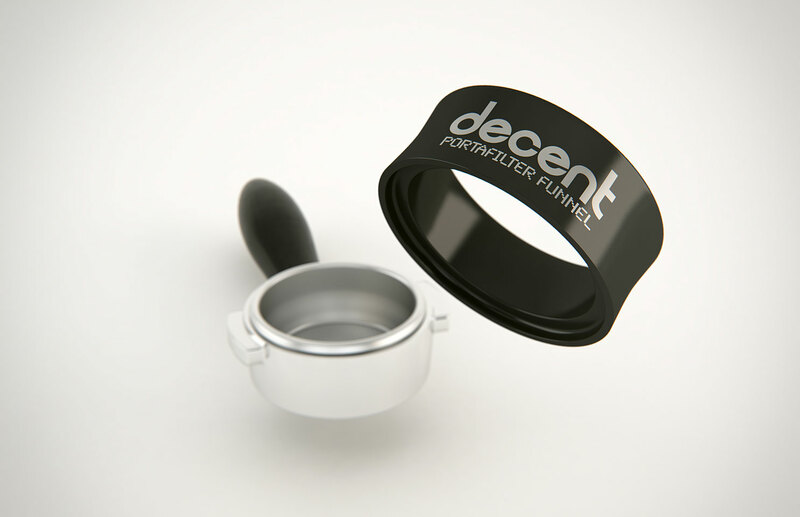 With a portafilter mounted on it, the bottomless stand measures 4.6cm (1.8") in height, while the standard stand measures 7.5cm (2.95"). 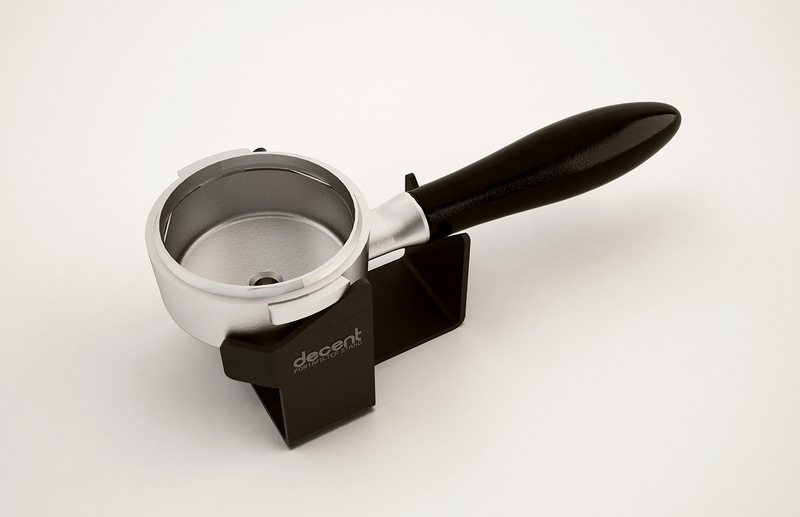 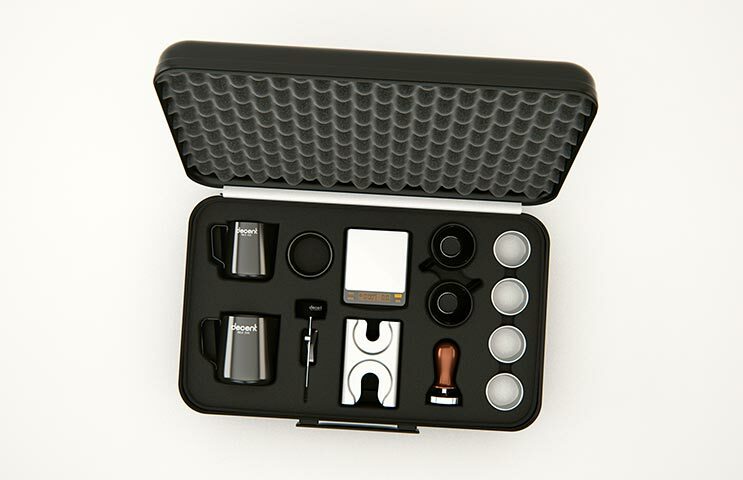 Works with virtually all 58mm standard portafilters. 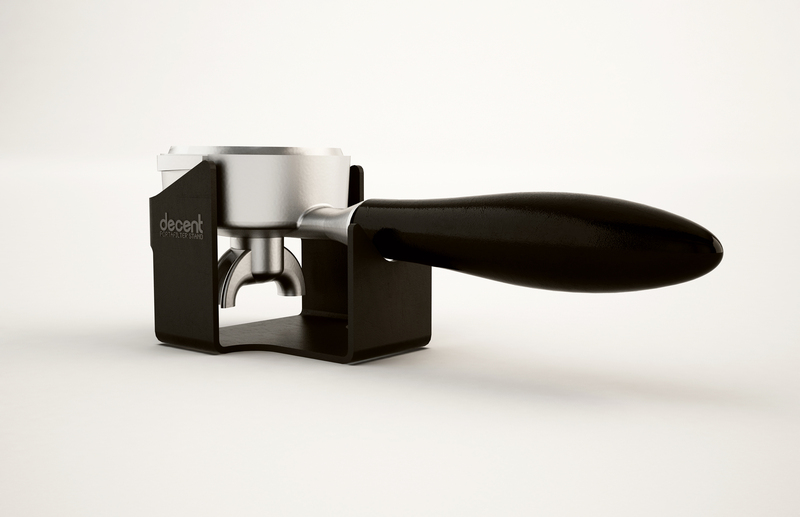 Note: the "wings" on your portafilter need to be 90° angled from the handle, not rotated sideways. 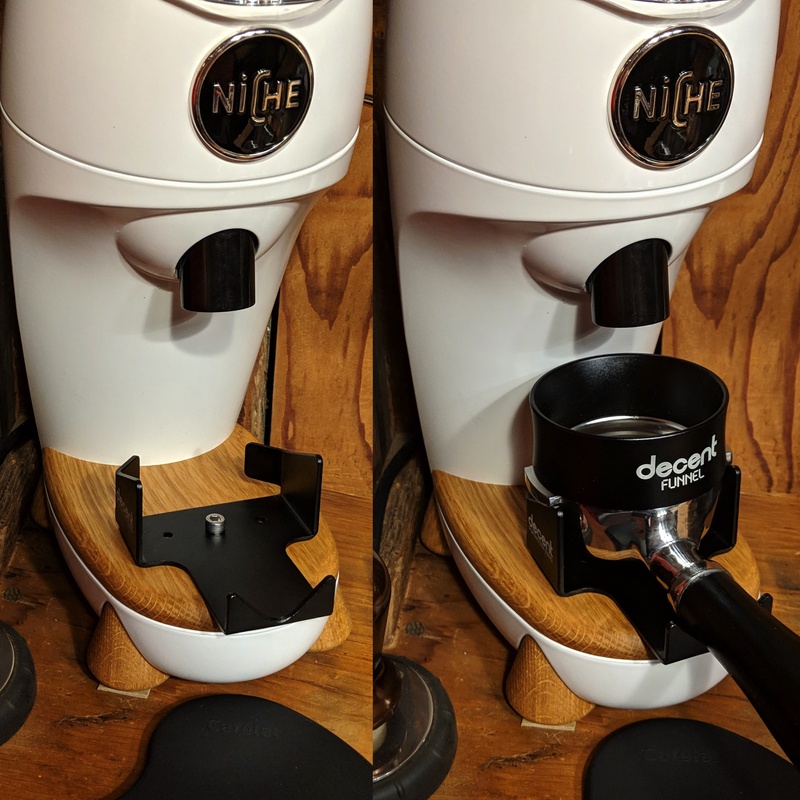 Our stand also works with our scale and funnel to weigh during grinding. 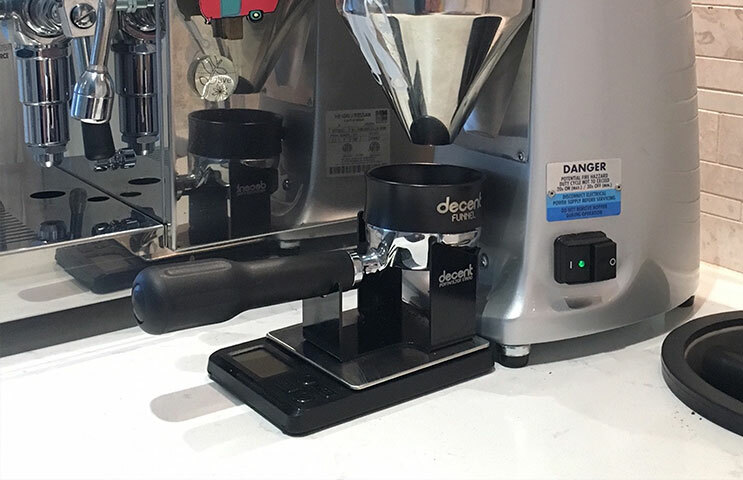 Pictured above: Mazzer Mini grinder with simple scale and funnel.